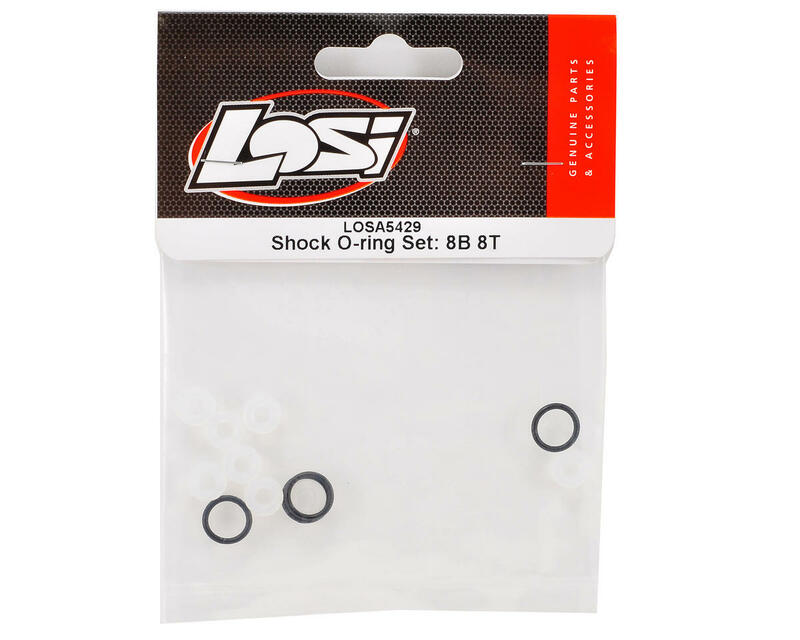 This is a set of replacement shock O-rings for rebuilding the shocks on the Losi 8IGHT buggy. Over time the dirt from the track will wear the shock O-ring seals allowing oil to leak out the bottom of the shocks, so it is a good idea to replace the O-rings and rebuild your shocks on a regular basis. 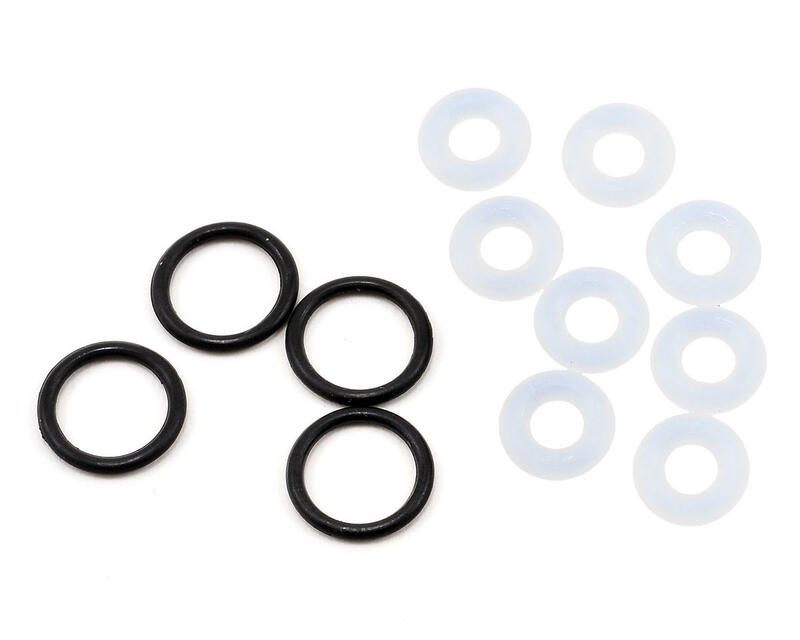 Package includes eight 4mm shock shaft o-rings, as well as four lower shock cap o-rings. white O's solve the leaky shock delima on the losi buggy.